The Whitman Hanson girls lacrosse team defeated Quincy this afternoon with a final score of WH 8- Quincy 5. 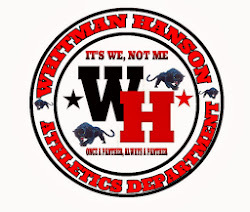 Whitman Hanson was led by junior Jackie Sullivan who finished the game with 2 goals and 3 assists. Senior Melissa Peck and Sophomore Stephanie Warn each added 2 goals in the victory. This win lifts Whitman Hanson to 7-3 overall, and 4-2 in the patriot league. The panthers are back in action on Monday when they head back to Quincy to take on North Quincy.